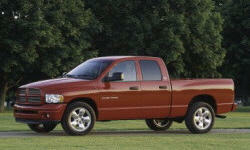 Dodge Ram 1500 Pros and Cons | Page 1 of 1 | Why Not This Car? What drives people to buy (or not buy) a certain car? TrueDelta's members share Dodge Ram 1500 pros and cons based on their real-world driving experiences. I have had this truck many years and worked hard with heavy loads and rough terrain. Truck has been flawless. It has taken more abuse than almost any other truck and never has failed. After talking to a lot of owners of different trucks, Dodge owners seem to have far less major problems. Bought may 2009. Dodge dealer had a better incentive and happened to have a model configured exactly as we wanted with 1100 KM on it, so further discount. Powerful for light trailer and cargo duties, while return good MPG. Life time warranty. No problems yet with this one, but i have ran one over 200k. The truck treats you as good as you treat it. All total, I got nearly $5k off sticker without even factoring in the trade. It has a really nice aggresive look to it. 345 horse power, 375 ft pounds of torque, great for pulling travel trailer. 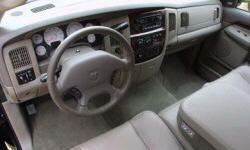 Bought it from Dave Smith in Kellogg, ID and they were very easy to work with...no haggling and below invoice pricing. They were fantastic.